An online menu maker that lets you easily create professional menus from any device. It offers instant designs with point-and-click customizations, plus feature rich options to help you increase sales of high-profit menu items. What size menus can I create? Any size with any design. From common sizes like 8½x11, 8½x14, 11x17 to odd sizes – square, tall, poster, or tiny. Even 48" menu boards. Can I use my own logos, food photos, and fonts? Yes. Or choose from 3,500+ ready-made Artisan images. We also offer a custom font uploader so you can use your own personal fonts. Can I change artwork, colors, or column layouts? Yes. Any font or graphical element, even columns, can be swapped into any Menu Style so you can unlock your creativity. Am I stuck with menu template constraints? No. Unlike generic templates, Menu Styles are flexible allowing content and layout changes. You won’t have to rewrite vital menu copy just to fit it into a template. Are hand-drawn fonts and artwork included? Yes! A 2019 Ohio State University study shows handwritten fonts can boost posts of your menu items on social media. 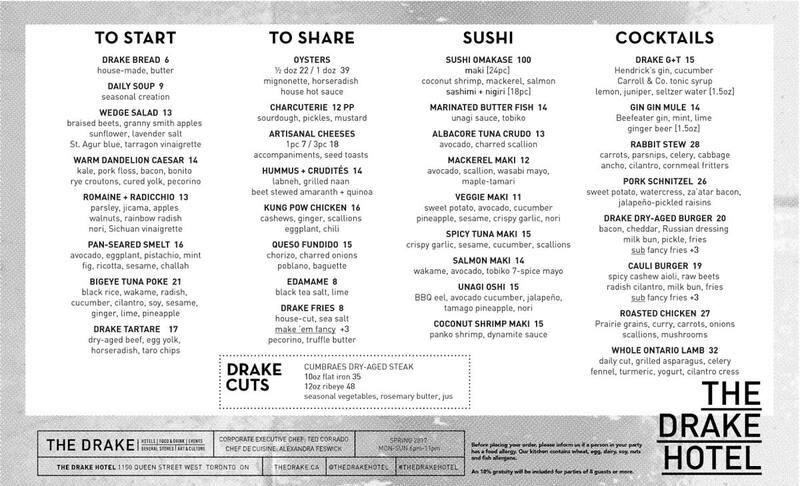 iMenuPro comes with great handwritten, folksy fonts that can be used on any menu. Yes, with 18 languages and culinary terms as well. Can I make menus for more than one business? Yes. There are no ‘per menu’ charges. I have a day spa. Will iMenuPro work for that? Yes! Lots of service businesses have menus. Spas, salons, dispensaries. iMenuPro works great for them too. Any ink jet or color laser. For large print runs, email your PDF to a local UPS or FedEx store for 'same-day' pickup. We support CMYK too. I'm short on time, can you help? Yes! WeMakeMenus can do data entry, convert your existing menu, or anything else you need with iMenuPro. Contact them Here. Just $15 per month – and you can cancel anytime. No. There is no forced annual billing or contract duration. Do I have to pay to make changes? No. There’s no reason to pay a designer every time you want to change your menu. Do I have to pay per menu or per download? No. Unlimited downloads and menus are included. Is discounted annual pricing available? Yes! You can pay in advance and save $45 with our optional 1-year Prepay Coupon, found within the app under Add-ons. Can I use it for website menus? Yes. You can embed your menus on the web (Website, Facebook, Twitter, Blog posts, etc.) with automatic, real-time updates and no downloading required. All in a Non-PDF, mobile-friendly format so they look great on all devices. Can I make wine lists? Yes. The food/drink list is a database that’s perfect for wines. Maintain beautifully designed and printed wine lists that include bin numbers, and sync them to your website in real-time with Live-Sync. Avoid having to tell customers you’re out of the wine they just ordered. Can I make a Digital Menu Board? Yes. You can export hi-res JPG menus to a thumb drive, plug it directly into your TV monitor and Voilà! 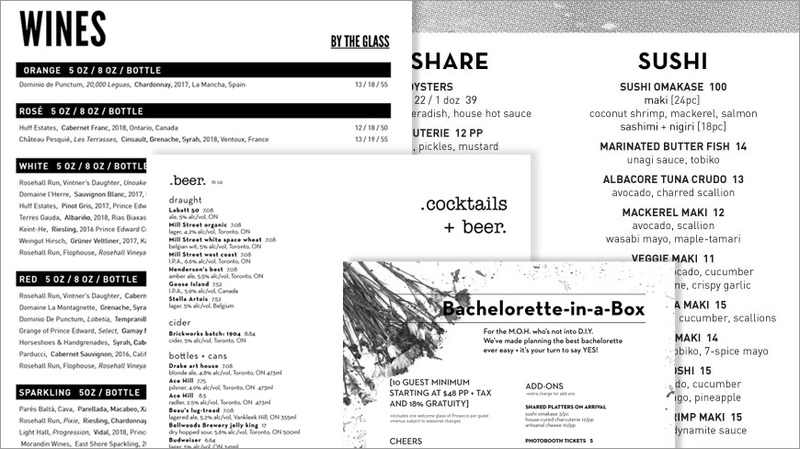 – instant, gorgeous, digital menus. No extra hardware or fees required. Update your items & prices whenever you want. Yes, and for free! Your Google My Business menu can point to your live-sync website menu so it stays fresh, up-to-date, and searchable. Here’s how. What do I have to install? Absolutely nothing – the app runs and updates in your web browser. I own MenuPro. Can I upgrade to iMenuPro? Yes! You'll be comfortable with its nearly identical layout. And you can import your MenuPro food list too. Upgrade details here. Still making menu changes ? With four separate properties, each offering catering, special events, and seasonal menus that change regularly, our company needed a central hub that everyone could use, instead of relying on our design team to make all the menu adjustments, big and small. Without exaggeration, iMenuPro is, quite literally, the answer to our prayers. MenuPro Users (versions 8, 9, 10) — GET 4 MONTHS FREE! Eligibility You must have a valid MenuPro 8, 9, or 10 license number or product key to be eligible. Reply to your Signup confirmation email with your current MenuPro license number or product key. We'll then give you the next 4 months for FREE!